Charlie Tatum talks to trumpeter and composer Terence Blanchard about his new album, the process of composing an opera, and the social impact of music. Trumpeter and composer Terence Blanchard. Courtesy the artist; Burgess Management, New Orleans; and Muse Media, Los Angeles. 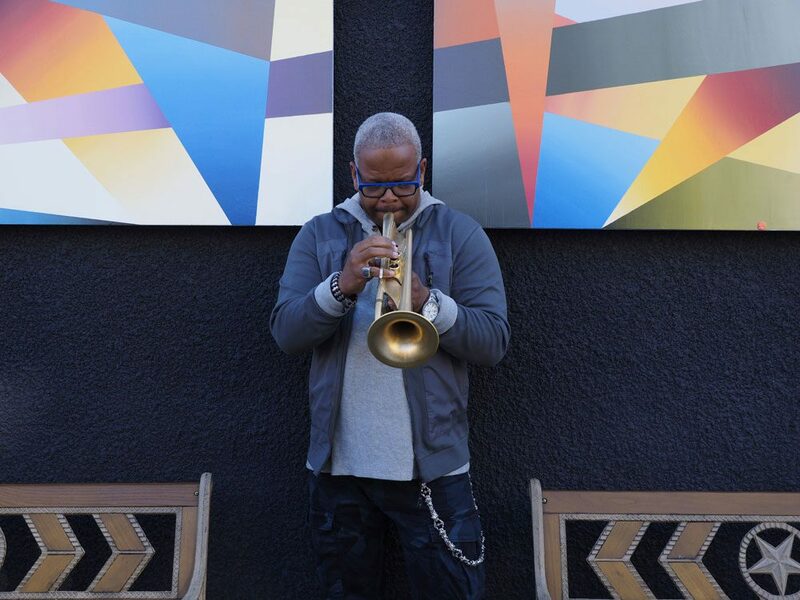 Grammy Award-winning trumpeter and composer Terence Blanchard is best known for scoring countless films by director Spike Lee and recording his own acclaimed albums—like 2007’s A Tale of God’s Will (A Requiem for Katrina)—which address contemporary social and political issues through music. His 2013 opera Champion, which told the story of bisexual boxer Emile Griffith, recently toured to New Orleans, and Blanchard has another opera in the works, this one based off of journalist Charles M. Blow’s 2014 memoir Fire Shut Up in My Bones. Though Blanchard lives in New Orleans, he travels frequently to play concerts and for his role as a visiting scholar at Berklee College of Music in Boston. I first met Blanchard in March at a convening in Chicago hosted by granting organization United States Artists, which this year awarded Blanchard $50,000 in recognition of his career. Blanchard’s music has long demonstrated his commitment to both jazz tradition and experimentation. Earlier this month, on the final Sunday of New Orleans Jazz & Heritage Festival, he took the stage with his band, the E-Collective, to play songs from their new album Live. The record, released by Blue Note, comprises seven songs recorded at venues near sites of recent violent clashes between African-American communities and the police—The Dakota in Minneapolis, near where Philando Castile was pulled over and killed by a cop in 2016; The Bop Stop in Cleveland, near where 12-year-old Tamir Rice was shot by police in 2014; and the Wyly Theatre in Dallas, near where five police officers were killed by snipers during a peaceful protest in 2016. The week after Jazz Fest, I spoke to Blanchard about the story behind this recent album and about the healing power of music. Charlie Tatum: Let’s start with the album. You mentioned this on stage at Jazz Fest—it comprises songs that were recorded at three different concerts in Minneapolis, Cleveland, and Dallas. All of the venues were in proximity to different sites of violence between the police and black communities. How did those concerts come about? Terence Blanchard: Well, it came from my agent. He came up with the idea of going to those cities and then we came up with the idea of doing some civic engagement in all of those places. And it was an amazing experience going to Minneapolis and meeting all of the kids at the school where Philando [Castile] worked. Meeting his co-workers. Going to the place where he was shot. Going to see this program called the Ujamaa Place, where they take at-risk youth and give them a lot of tools to do job interviews. Helping them with all different types of therapy. And they have like a 95% success rate. Then, going to Cleveland, man, getting involved with some young students, having them get engaged in the show. Having them videotape the show and make their own little projects from it. Trying to get at-risk youth in Cleveland involved in something positive. So it wasn’t just about playing concerts. It was much more than that. CT: Those stories add such a powerful layer of context to the album. How does this sort of activism find its way into the music itself? TB: The music is inspired by all of those things, and the music is inspired by the selfless work of social workers. The music is inspired by the frustration people feel from not being heard on the subject of gun violence and gun control. The music is hopefully there to help people heal from their frustrations and anger. When you look at what’s going on with gun control, it’s a travesty, because a large segment of the population—no matter what they identify as—believes in comprehensive gun control. But the machine that pushes against it is a huge one with a large cash flow. And they would have you believe that the contingent of people that want gun control is smaller than it actually is. They also tend to have their base believe that the government is out to take all of their guns, but we know that’s not true. This is just something that we have to fight against because logical, thinking people all say that we need comprehensive gun control. CT: You’re finding a way to take up those fights as an artist and do work in a way that’s different than, say, lobbying, but that can be both powerful and therapeutic. That’s kind of what we’re going for. Because when we look at what’s happening in the news, man—I haven’t turned on the TV all day today, but I bet you if I did, I know what they’ll be talking about...Trump. And you know, at the same time that that’s happening—gun control, that issue is not being paid attention to. Puerto Rico’s not being paid attention to. Flint, Michigan, is not being paid attention to. All of these things these guys are cutting back in our government are not being paid attention to. And the deficit is definitely not being paid attention to. 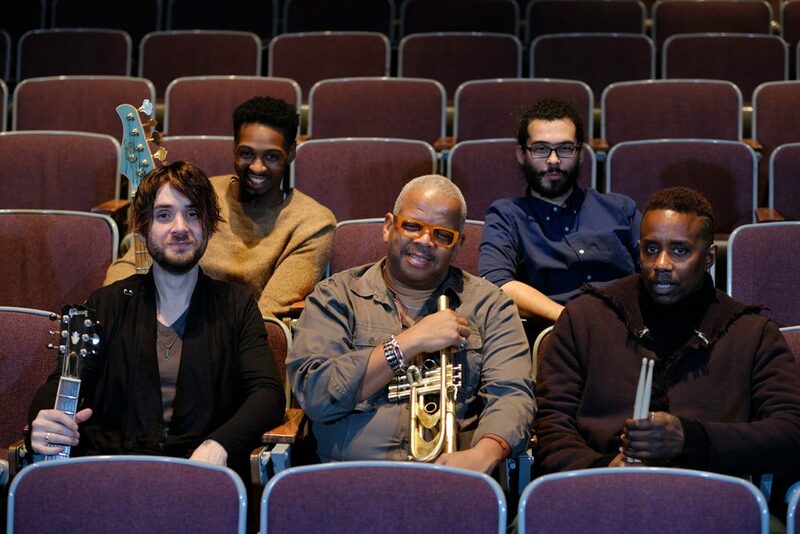 Terence Blanchard and the E-Collective. Courtesy the artists; Burgess Management, New Orleans; and Muse Media, Los Angeles. CT: You’re also working on an opera inspired by Charles M. Blow’s Fire Shut Up in My Bones, which chronicles Blow’s struggles with violence, abuse, and his own sexuality on his journey from growing up in small-town Gibsland, Louisiana, to directing The New York Times’ graphics department. What inspired you about his story or that book? TB: Well it’s another situation, a similar one to Champion. It’s a human story, a real story about perseverance. It’s about redemption in some ways. [My previous opera] Champion’s more about redemption than Fire Shut Up in My Bones, but—there are some decisions that you have to make at a crossroads in your life. You can succumb to the evil that has been affecting your life or you can decide to just leave it in the road and move on. And I think that’s a very admirable position to take and one that deserves a story to be told about. When you look at things that children are facing—just look at what the country is facing right now. We can chose to just follow blindly behind this stuff or we can just leave it in the road and make another turn and do something else. CT: One of the things that is so important in opera is the relationship between the music and what you see on stage. How do you think about that relationship when you’re putting together an opera? What is that process like for you? TB: Well it’s hard to go down that route because it’ll probably change when it comes to the actual production. So, for me, I’m really trying to deal with the emotional content of the story. In certain areas I’m visualizing those scenarios in my mind and allowing myself to be influenced by that—or for that to set the tone of what a particular scene sounds like or the pace of a scene. But it all changes once we actually go to production because of the parameters of doing live theater. CT: Is the process of doing something on stage similar or different to working with film? TB: It’s very different because in film everything is finished and done. So I’m just basically writing music that will fit in something that’s already existing. In opera, it’s a constant moving target. Everything’s up for grabs. We’ll be making musical changes as they start to rehearse. We’ll realize, Oh well we can’t get the actors on stage here so we’ll need to have a transitional phase here. This scene seems to be running a little too long so maybe we want to cut. All those things occur up until opening day. CT: How has New Orleans informed the way you think about composing or playing music? TB: My composition teacher’s from New Orleans. That’s where I learned. And the interesting thing about learning composition in New Orleans is that I was learning the craft of musical composition, the techniques, and then going out and experiencing different elements of it from different forms of music in New Orleans. New Orleans-based music, street music, classical music, jazz. And the common denominator in all of those things is how harmony and melody are used. And as a composer, you start to strip away at those things to see them at their core. So those rhythms, those harmonic progressions, those melodic progressions definitely have had an influence on how I write.